A dissolution of marriage is the formal process of filing for a divorce. Couples that wish to end their marriage must file special paperwork when the dissolution involves children. Divorcing couples with children not only have to decide how marital assets and property will be divided but they must also consider how they will raise their children from separate households and how they will jointly support their children in their day-to-day activities. The divorce-filing process involves couples obtaining the appropriate forms from the courts in the communities where they live. The forms necessary for filing are usually considered "Dissolution of Marriage with Children" or something to that effect, depending on where the couple resides. Other documents needed to complete a divorce filing include information about the property owned and acquired during the marriage, financial statements from each spouse and custody and visitation arrangements for the children involved. Once the paperwork is complete, the forms must be filed with the court clerk. Couples then must wait for a court date. A parenting agreement should be one of the first things a divorcing couple with children should create. Divorce is difficult for children of any age, and a parenting agreement will provide organization and structure for raising the children. Parenting agreements provide parents with an understanding of their roles in the children's lives, including where the children will go to school, extra-curricular activities and who will pay for activities, where the children will live and when they will spend time with the non-custodial parent. Dissolution of marriage with children include several parts. The courts must determine how to divide assets as well as which parent is best fit to love and care for the children. In most cases, both parents are capable of providing a loving home for their children but custody must be legally established by the courts. Parents who agree to share custody have it easier than parents who don't. Custody disputes can be long, and although family court judges use the "best interest of the children" doctrine in making custody determinations, usually only parents know what is best for their children. The county court in the state where the original custody determination was made has jurisdiction over future custody disputes, even if a parent moves to another state with the child. Laws are in place to prevent parental kidnapping and allowing other state courts to make rulings on custody issues that already have been determined. Depending on the child's age, children can react differently to the divorce of their parents. Some children feel powerless while others feel that the divorce was their fault. Many children experience physical and emotional affects such as sleep disturbances and behavioral problems. Each parent should take care to encourage the active relationships of children with the other spouse to ease anxieties surrounding divorce. Scott, Sherrie. "Dissolution of a Marriage With Children." 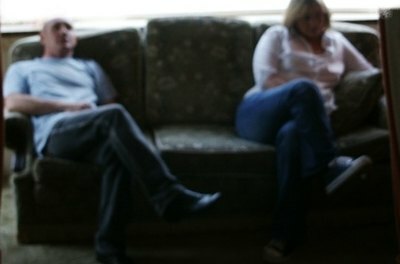 , https://legalbeagle.com/6560380-dissolution-marriage-children.html. Accessed 18 April 2019.